Bullhead City, AZ Residents - Call 928-774-0060 anytime to ask about our latest Environmental Consultant specials! In addition to providing industrial hygiene services, Tallpines offers the following associated environmental services: Prepare ADEQ air quality permit applications, air permit renewals, bi-annual compliance certifications, air emissions inventories, and EPA Region 9 opacity testing for industrial/commercial facilities with regulated point-sources of air emissions. Luttrell is a registered geologist (RG), certified microbial consultant (CMC), federally certified AHERA Building Inspector/ Management Planner, Contractor Supervisor. 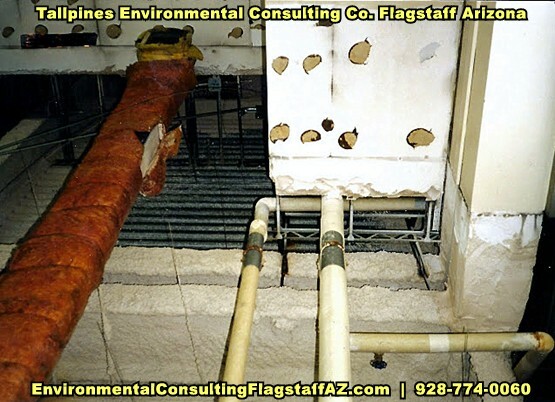 We're experts and offer the following: INDOOR AIR TESTING FOR HAZARDS IN THE WORKPLACE, PHASE I ENVIRONMENTAL SITE ASSESSMENTS, ABATEMENT OVERSIGHT SERVICES, STORMWATER SAMPLING, GRAND CANYON NATIONAL PART SERVICE, ASTM PETROGRAPHIC ANALYSIS, US ARMY BELLEMONT AZ in and around the Bullhead City, AZ area.